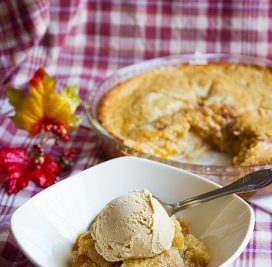 Today’s Peach Cobbler post is dedicated to my Mother, a kind, loving, and caring woman who taught me so much about life and people. She is the reason why I see good in almost everything in life. 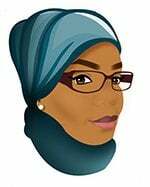 My Mother passed away on December 7th, 2016 and that’s why I took a break from blogging. My Mother loved sweets and enjoyed eating fresh peaches. I’m sure she would have loved my peach cobbler. 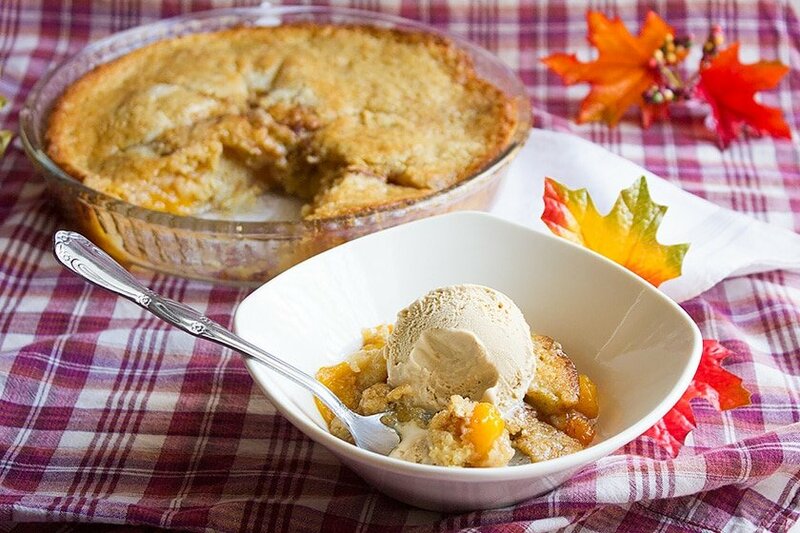 Peach cobbler is easy to make dessert, it can be prepared in less than 10 minutes, but you have to wait for 50 minutes (baking time.) to devour. Some recipes call for biscuit dough, but I am using a cake-like batter that magically covers the peach while baking. 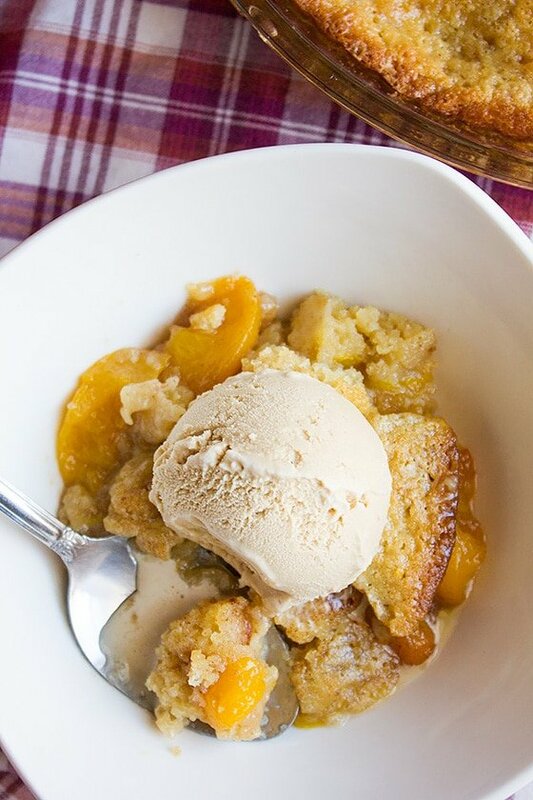 Making Peach Cobbler The Easy Way. 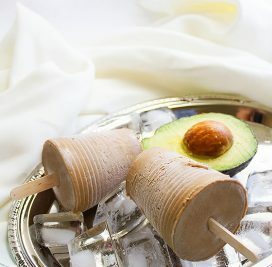 You can have it as is or add a scoop of your favorite ice-cream on the side. 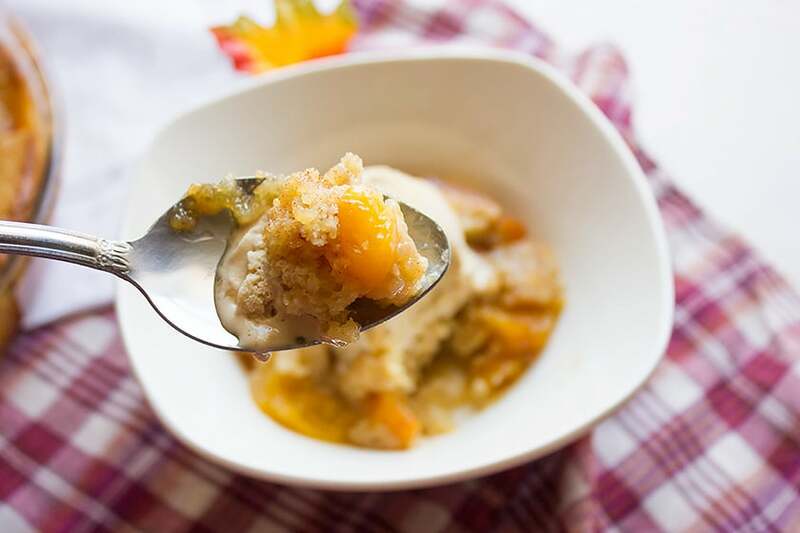 I have used canned peaches for this recipe but if you are using fresh peaches, make sure to peel it and add maybe three to four more tablespoons of sugar to the peach mixture. 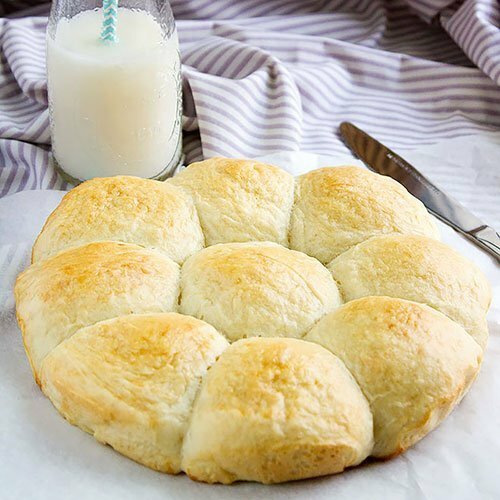 Add the melted butter to a 12” or 10” round baking pan. Drain and then rinse the canned peaches using cold water, twice. In a bowl, add all the peach mixture and keep aside. In a different bowl, add the flour, baking powder, salt, sugar, and whisk well. Make a well in the middle and add the milk and the egg, mix with the dry ingredients. Do not over mix. Scoop the peach mixture over the batter, do not mix. Bake for 45 to 50 minutes. The batter will rise and cover the peaches. 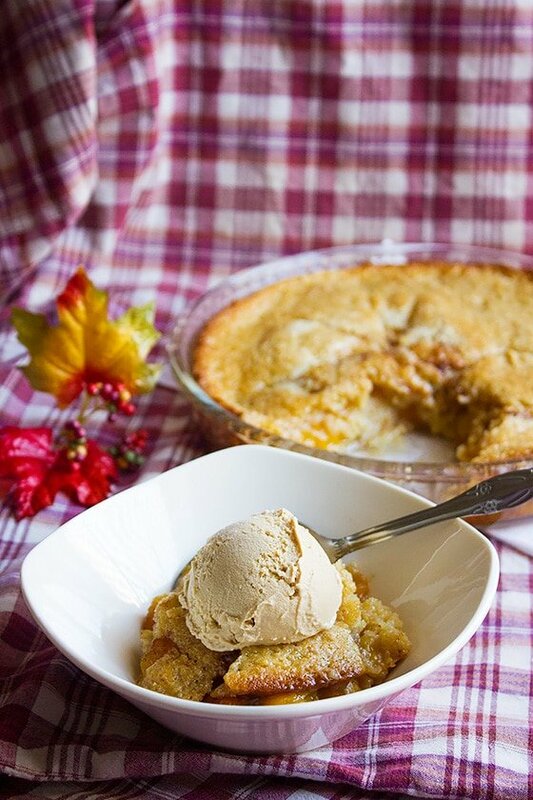 You can have this dessert when it comes to room temperature or when cold. 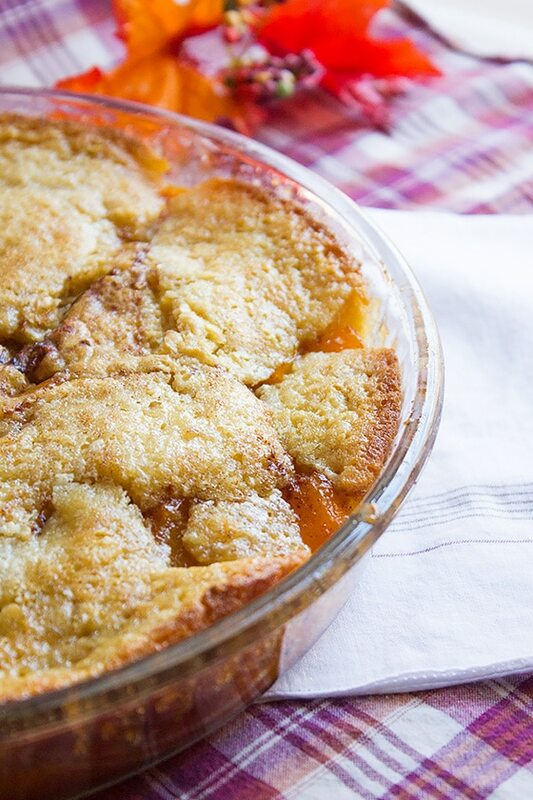 I am very sure that your mom would devour this gorgeous peach cobbler, Muna. It looks vibrant and tempting. You are so sweet Angie 🙂 I think she would love some too!